During the gubernatorial campaign the DeWine/Husted team had a number of meetings with representatives of sportsmen groups; including Buckeye Firearms Association, Sportsmen's Alliance, Ohio Gun Collectors Association and Ohio State Trappers. These meetings covered a broad range of the challenges facing Ohioans in the areas of firearms ownership, concealed carry and conservation including the areas of hunting, fishing and trapping. Now that the new Director of the Ohio Department of Natural Resources (ODNR) cabinet position is filled and a new Chief of the Division of Wildlife named, who are the players? How well has the DeWine/Husted administration performed to deliver on the promise of professional leadership? The new ODNR Director is Mary Mertz. She is an attorney and long-time associate of Mike DeWine through several administrations. While DeWine does reward those loyal to him, Mertz actually requested the ODNR job. I had the pleasure to meet with her in December 2018. She was very engaging while tackling the issues in a straightforward manner. We discussed key areas including the capital budget; land access with the AEP ReCreation Lands acquisition that is critical to hunting, fishing and trapping access; shooting range development and personnel. Director Mertz didn't want to focus on the complaints that sportsmen had under the Kasich administration. She inquired about who are the good personnel in the ODNR and Division. I like the positive approach. She noted that no matter how well versed, a Director will never know all the things about a division that the Chief will know. She views her job as giving them the tools they need to be successful. During the discussion the Director frankly noted that she doesn't have much hunting, trapping or shooting experience. She grew up in southwestern Ohio where she enjoyed sailing and fishing with her family. She has a passion for the outdoors and the quality of life it brings. Longtime DeWine associate and a true friend of Ohio sportsmen Mike Budzik will return to the ODNR as a special liaison with the ODNR and Governor's office. Budzik, who hails from southeastern Ohio, is a retired Chief of the Division. He also served a time as a liaison to sportsmen organizations in the Kasich Administration. Budzik was appointed to serve on a national advisory council to then U.S. Secretary of the Interior Ryan Zinke. He brings a wealth of knowledge to the administration. I especially enjoy his down-home style and direct approach to issues. One of Mertz' first appointments affecting sportsmen was that of Steve Gray as an Assistant Director. Gray, who spent a long career in the Division before retiring as Chief, is nationally recognized for his work. Following retirement, he has remained engaged in sportsmen issues. I served on the Board of the Ohio Conservation Federation with Gray where he was a policy director. Gray is a walking encyclopedia of the history of the Division and conservation in Ohio. He has the experience to be a tremendous asset to Director Mertz and to mentor other leadership. Director Mertz appointed long-time Division employee Kendra Wecker as the new Chief of the Division of Wildlife. Wecker has a varied background serving in a variety of positions throughout several administrations. 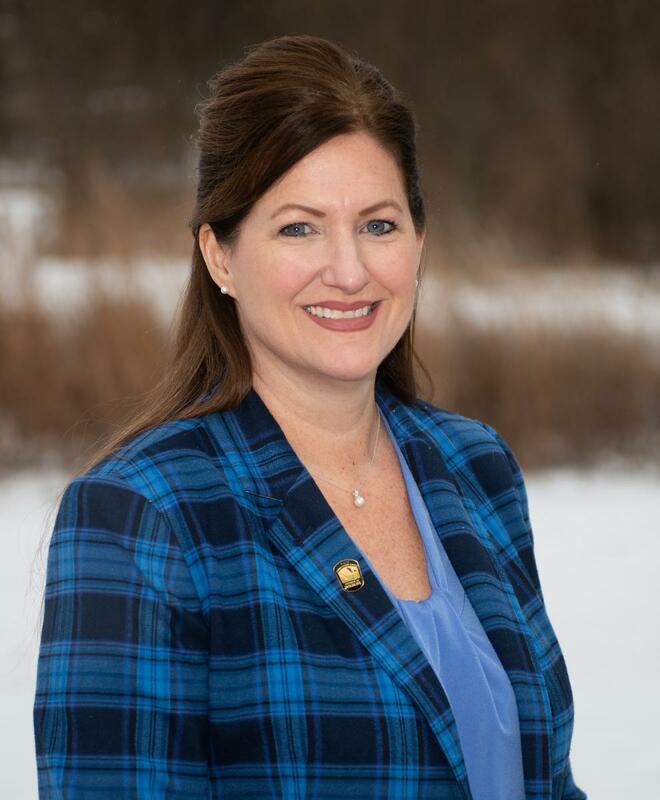 The press release on her appointment noted: "Wecker has advised numerous ODNR Division of Wildlife chiefs and other senior staff on legislative issues for all aspects of hunting, fishing, trapping and shooting sports. She has worked on many large projects affecting Ohioans, including commercial fishing regulations, Sunday hunting and improved shooting ranges. She was instrumental in proposing legislation for the popular cardinal and bald eagle license plates, and in the creation of the Ohio Biodiversity Conservation Partnership as well as the popular Ohio Diversity Conference." Buckeye Firearms Association leadership has recently worked with her as a member of the Division's shooting range committee. Chief Wecker chose two veteran employees from different corners of the state as her Assistant Chiefs, Pete Novotny and Todd Haines. Novotny is from the District 3 Akron office while Haines is from the District 5 Xenia office. Novotny has a broad background in law enforcement and has served as District 3 Manager and, most recently, as an Acting Assistant Chief. BFA leadership have worked with him at roundtable discussions including with Senator Rob Portman and on the range committee which he chairs. Haines has a broad resume including wildlife biologist and management experience through several administrations. I've worked with Haines since the mid-1990s when he arrived in the Xenia district office. Haines provided support in arranging meetings with the Ohio Farm Bureau during the efforts to get the straight-walled cartridge (SWC) for deer hunting approved. Mostly recently he was instrumental in working to obtain the new 2500-acre Eagle Creek Wildlife Area in Brown County. Returning to the Division of Wildlife fold as Executive Administrator for Law Enforcement is another friend to sportsmen and gun owners, Ken Fitz. Fitz and I worked closely during the SWC effort. We spent quite a bit of time, amongst other things, pouring through the Cartridges of the World book to ensure as many cartridges were available as possible. Fitz was a major supporter in presenting the SWC concept and separating fact from fiction through the regulation process. It is good to welcome this friend back to the Division. Buckeye Firearms Association leadership looks forward to a very good partnership with the new leadership of the ODNR and Division of Wildlife. These appointments certainly, at least to this writer, fulfill the campaign promises of the DeWine/Husted Administration to put professional management in leadership at the Department and Division levels. There are many challenges ahead. Public shooting range development and the acquisition of the AEP ReCreation lands are just a couple of the major efforts. These are going to require the active involvement of sportsmen, shooters, hunters and trappers to support the ODNR and Division moving forward. I believe a good experienced team is in place to lead these efforts.